Constellation Software Inc. Acquires the Shares of Ibcos Holdings Ltd.
TORONTO, ONTARIO–(Marketwire – Aug. 2, 2012) – Constellation Software Inc. (“Constellation”) (TSX:CSU.TO ) – announced today that it has completed, through its wholly-owned subsidiary Constellation Homebuilders Systems (“CHS”), the acquisition of the shares of Ibcos Holdings Ltd (“Ibcos“) from the principal shareholders (Ibcos Holdings Ltd is the parent company of Ibcos Computers Ltd). 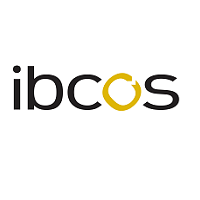 Ibcos is the market leading provider of dealer management software for the Agricultural, Construction, and Horticultural Machinery Dealer vertical markets in the United Kingdom and Ireland. Ibcos will join Constellation’s Dealership Software Group which is comprised of several leading software products designed specifically for dealerships. “With the addition of Ibcos, over 2,000 dealerships will use one or more of our software products to make their dealership more successful,” said Dexter Salna, President of CHS. “The acquisition of Ibcos helps extend the Dealership Group’s footprint into a new geography. We welcome the employees, customers and products into the Constellation family,” said Daniel Zinman, Vice President of Constellation’s Dealership Software Group.